It’s not clear at the moment if this is only a joke of the two actress or maybe not, we hope that this will be real because Ellen Page and Kate Mara are simply two great actress. Kate Mara in “American Horror Story: Murder House” was really scary and looney and her portray in “House of Cards” of a young journalist was terrific and her character was one of my favourite. 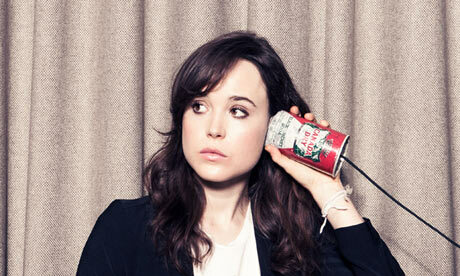 On the other side we have Ellen Page, better known as Juno the most famous teen pregnant in the movie history. She is simply good as actress and I’m looking forward to see her as Kitty in the new X-Men‘s movie. After a first season focused on masculine theme and characters, it will be good to see the dark side of the women’s world with two detective troubled and problematic like Cohle & Hart and I think that Kate & Ellen will be as good as Matthew McConaughey & Woody Harrelson. Let’s hope that the second season of “True Detective” will be announced and that Mara&Page will be the new couple.